Jim has deep experience in telecom, technology and life sciences. He began his career as part of a three-person team who took control of and turned around a biotech firm, delivering >100% IRR to their investors and he remained a board member of this public company for several years after its sale. Later, he was a partner in a technology consulting firm, becoming its leading rainmaker selling and delivering projects, eventually rolling up a series of telecoms into what is today AT & T. He is an advisor to senior executives and investors in emerging and industry-leading communications, media, and technology companies as well as private equity and venture capital firms. Earlier, Jim was a senior partner at Adventis and Oliver Wyman, where he delivered key strategy projects for some of the largest network communications service providers in North America and Europe. 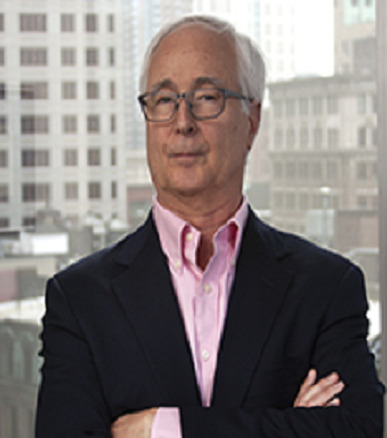 Jim is one of the founding partners of Boston-based boutique management consulting firm that focuses exclusively on the communications and internet infrastructure industries. His clients range from global leaders with >$100 billion in revenues to small, rapidly growing companies that drive innovation in technology and customer business models. He also advises large Private Equity firms on their investments. • New sources of revenue that result from virtualizing network and IT functions. He is an established industry expert who is frequently quoted in such publications as the Wall Street Journal, USA Today, and Business Week on industry trends and issues affecting the wireless, telecom and data center industries. Prior to his consulting career, Jim was a partner in Benchmark Associates, a Boston-based financial investment and turnaround boutique. Jim has been an active early-stage investor, and advisor to technology companies with a number of successful exits. He has a BS degree in Life Sciences in from MIT, and an MBA from Harvard. Jim is on the Board of the New England Aquarium , and is a member of the angel fund, Walnut Ventures.